When hiking in the CO mountains it's always a treat to catch the Columbine in bloom. I want to pick it and take it with me, but having it in painted form, it will live on and be there whenever I want to have a look. Original acrylic 11' x 14" painting of a single columbine flower gracefully in bloom in it's purple glory. 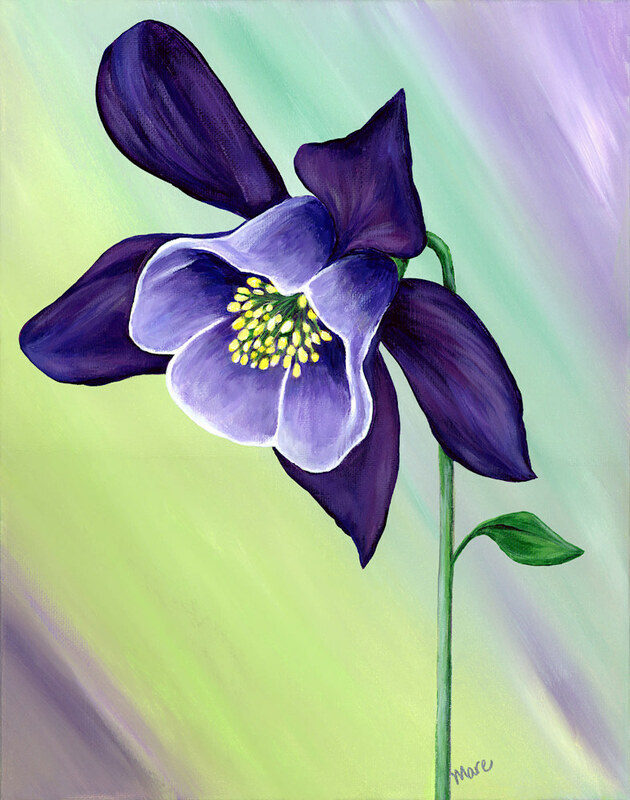 When hiking in the CO mountains it's always a treat to catch the Columbine in bloom. I want to pick it and take it with me, but capturing it in painted form, it will live on.